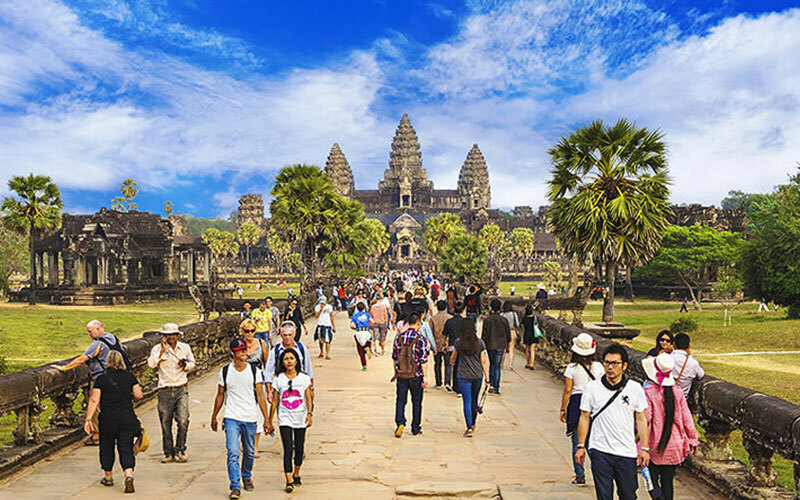 If you have one of your reasons for travelling is to build a memory- library of wonderful places, you cannot fail to visit the amazing Angkor Wat in Cambodia. Beyond the world- famous Khmer ruins, Cambodia remains as one of southeast Asia’s undiscovered gems with amazing wildlife and undiscovered beaches. 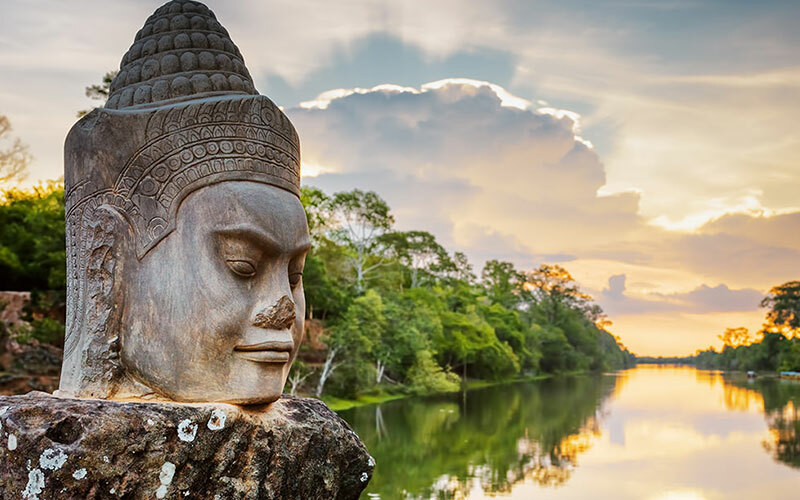 From Mekong River Dolphins to vine-covered ancient jungle temples and elephant sanctuaries, there are abundant opportunities awaits when you travel to Cambodia. Tour in Cambodia offers a chance to interact directly with local people, allowing you to indulge the Cambodian Culture as you travel. The bustling streets, colonial architecture and vivacious markets of Phonom Penh will also prove unforgettable, as will the drive from the capital to Siem Reap through the traditional towns and villages of rural Cambodia, rich in pre-Angkor ruins. Book you Cambodia tour with Sun N Fun Holidays and prepare to fill up your own and your camera’s memory. Day 1 Welcome to Siem Reap as part of your 4 nights 5 days Cambodia tour package. Upon your arrival in Siem Reap, an agent’s representative will meet you and transfer you to your hotel. Complete the check-in formalities and gear up for your trip to the Floating Village. Take a ride on the traditional wooden boat on the Tonle Sap Lake to experience the human occupations at the edges of the lake. After enjoying a refreshing ride along one of the largest freshwater lakes in Asia, proceed for dinner at a local restaurant by your own and head back to the hotel for a good night’s sleep. Day 2 Explore the various temples in Siem Reap as part of your Cambodia in 5 days trip. Enjoy a delectable breakfast and get ready to visit the Angkor Thom South Gate. Your first stop for the day is the Bayon Temple. Next up, visit The Royal Enclosure, the Phimeanakas, and the Leper King Terrace. This grand temple palace in Angkor Thom is another pyramidal representation of Mt. Meru with three different levels. Continue your visit to Ta Prohm, a UNESCO World Heritage Site. Built in the Bayon style in the late 12th century, this ruin is a must see for all history and art enthusiasts. Savor a delicious lunch after which you can resume sightseeing. Your next stop is Thommanon, located east of the Gate of Victory of Angkor Thom. Also visit Chau Say Tevoda, Ta Keo, and the grand Angkor Wat temple complex. Famous as the largest religious monument in the world, this temple is an architectural marvel. Proceed to Bakheng Hill for a scintillating sunset view. Also visit the Phnom Penh temple complex. Relish a dinner on your own and head back to the hotel for a peaceful night’s sleep. 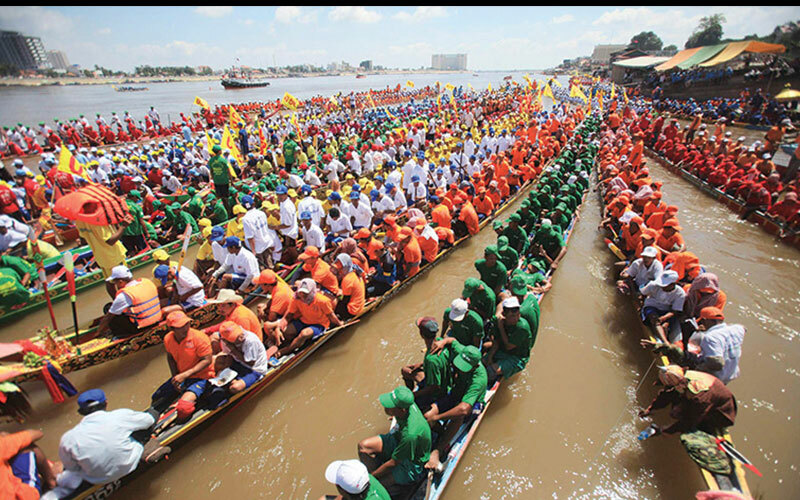 Day 3 Proceed for your transfer to Phnom Penh as part of your Phnom Penh tour package. Savor a hearty breakfast, checkout from the hotel, and proceed for your transfer to Phnom Penh, the glimmering capital city. Enroute stop for a quick visit at the Spider Market. Continue to Phnom Penh and enjoy a delicious lunch at a local restaurant. Next up, visit the Royal Palace where the King of Cambodia and the royal families live. Continue to Silver Pagoda which is located on the south side of the Palace. Originally constructed of wood in 1892, the Pagoda stands as an epitome of Cambodia’s cultural riches. Finally, visit the Wat Phnom Temple - the most important pagoda in Phnom Penh. Enjoy a dinner and head back to the hotel for a good night’s sleep. You can also visit the Naga casino, to get a taste of the Cambodia nightlife. Day 4 Enjoy a scintillating sunset cruise on your penultimate day in Cambodia. Enjoy a delicious breakfast as part of your 5 days in Cambodia tour and gear up for an exciting day of sightseeing. Your first stop for the day is the Tuol Sleng Museum, a former school which was used as a prison by Pol Pot’s security forces. Get a taste of the Cambodian history and culture as your next stop is the Killing Fields. The site holds the remains of roughly 9000 people who were exhumed in 1980. Savor a delectable lunch and then visit the Russian Market where you can buy souvenirs. The market is known for its cheap clothing, silver jewelry, and classical music instruments. Next, enjoy a scintillating sunset cruise on the Tonle Sap and Mekong rivers. After a hearty dinner, head back to the hotel for a peaceful night’s sleep. 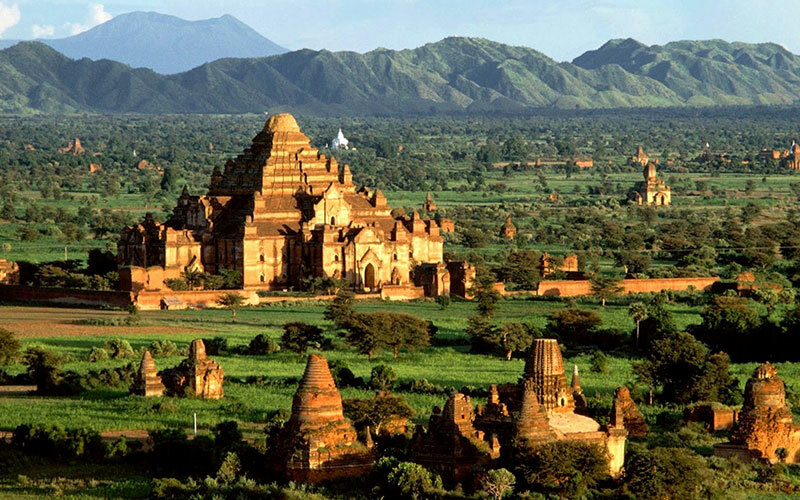 Day 5 Bid goodbye to Cambodia as your 4 nights 5 days Cambodia tour package concludes. Relish a hearty breakfast after which you can visit the local markets & souvenir shop. Buy gifts for your loved ones and come back to the hotel for the check-out formalities. Proceed for departure and board your flight back home. Free Visa support documents & visa service for in Kathmandu. Meals and Beverages are not included in Itinerary.